Faltu Rapper By Dino James: It's Dedicated To All The 'Nakli' Rappers! Home » Videos » Faltu Rapper By Dino James: It’s Dedicated To All The ‘Nakli’ Rappers! In Faltu Rapper, Dino James has taken a dig at the overrated Indian rappers, who capitalise on the trend of recreation and senseless vulgarity to gain youth following. One of the popular Indian independent rappers, Dino James created a niche through his amazing rap skills and meaningful words. Accounting for above 1.9 million subscribers, the artist has impressed through his unique rap style in Hindi. Known for popular works like ‘Girlfriend’, ‘Yaadein’, ‘Hancock’ and ‘Bhokali’, the rapper is back in the game with his latest track titled ‘Faltu Rapper‘. In Faltu Rapper, Dino James has taken a dig at the overrated Indian rappers, who capitalise on the trend of recreation and senseless vulgarity to gain youth following. 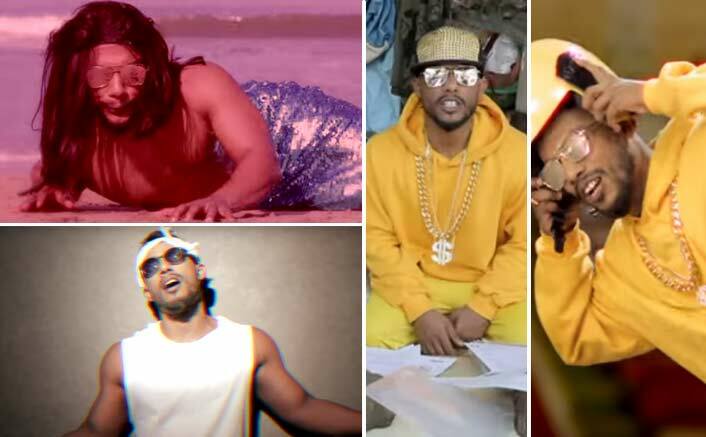 He also slammed Yo Yo Honey Singh by making fun of his ‘Lungi Dance’ and hit back at those, who trolled his songs for lacking in commercial elements and appealing to a limited section of the audience. With a line, “Par rapper nahi hua achcha you know why bro, kyunki kar nahi paata mein achcha joint roll”, Dino poked sarcastically about the rap scene in the country. After the success of ‘Bhokali‘, the rapper said that she feels very powerful as he can speak his mind without any filter.